We live in an increasingly global, interconnected world and the Halifax Grammar School recognizes the need to prepare students for success in that world. Critical thinking skills and a sense of international-mindedness are at the core of what students learn and fully understand through the International Baccalaureate (IB) program. It is an advanced university preparatory curriculum offered in Grades 11 and 12 that provides the best possible preparation for post-secondary success. Since 1993, the Grammar School has offered the International Baccalaureate program. The Grammar School is widely recognized as the leading IB World School in Atlantic Canada. We seek to produce students who strive to be: active inquirers, independent thinkers, effective communicators, intellectual risk-takers, and principled individuals who are open-minded, caring, balanced and reflective. What is the IB Program? a broadening education for the whole student that encompasses creative pursuits, physical activity, and service to others. Students can also choose the International Baccalaureate Diploma Program, the school’s current program, or they may choose to complete IB diploma courses. Students graduating from either program will receive IB course credits and a Grammar School graduation certificate. Diploma Program students will also receive a DP certificate. Universities currently recognize diploma courses, and most Canadian universities offer university credit as well. This component of the IB Diploma Program is often seen as daunting but the following article helps de-mystify the essay. 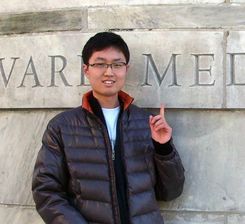 For more information about the International Baccalaureate visit www.ibo.org. 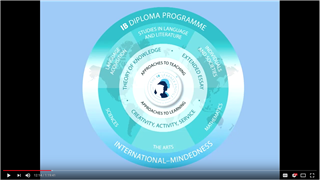 Watch this video to learn more about the value of an IB Education. I'll always remember the times with my friends at Grammar. During my last year when everybody was preparing for the IB exam, it was really a communal effort. Everybody was helping each other. Although you wrote separate exams on the exam day, everybody helped each other to prepare for it and the teachers were always there to assist us, to fill whatever need we requested. It was a very helpful atmosphere to prepare for something that would probably be one of the largest things we’d ever encountered in our lives. Need help navigating this website? Halifax Grammar School is the leading independent, co-educational day school in Atlantic Canada. From Junior Primary through Grade 12, the Halifax Grammar School is an environment where passionate teachers challenge students to develop confidence through independence, where coaches and advisors encourage students to pursue excellence through effort, and where a community fosters in students a lasting commitment to helping others.